Pokémon Go has captured the world by virtual storm. The app from Niantic Labs and Nintendo brings the popular franchise into augmented reality by using mobile cameras and GPS capabilities to turn real-life surroundings into environments these creatures inhabit. Trainers can find and capture Pokémon using their phones, realizing their dreams of becoming Pokémon masters. At first glance, Pokémon Go may seem like an app only lovers of the franchise would understand. However, Pokémon Go relies on physical locations as in-game PokéStops and gyms, including local businesses, landmarks, and public spaces. Local businesses around the nation have started to offer discounts and host special events specifically for Pokémon trainers: and their results have been astounding. With the right techniques, you have the opportunity as well to attract new customers by embracing the lifestyle of a Pokémon trainer. So, how can you capitalize on the craze and market your business to your local Pokémon Go trainers? PokéStops: Places where trainers can find Pokéballs, eggs (Pokémon hatch from eggs) and other items like potions for healing your team members. Though items can be found simply by visiting PokéStops (i.e. available for free), trainers have the option to purchase items using PokéCoins, the in-game currency. PokéCoins can be earned by battling or bought with real money through in-app purchases. Gyms: Places where trainers can battle each other (these are often famous real-world locations). Trainers fight for three different factions — Instinct, Mystic, or Valor — and can claim the gym for their faction by battling the Pokémon belonging to other factions. If no competing factions are present, trainers of the same faction can battle each other to build prestige for the gym. The beauty of these in-game places is that they’re located at real business and landmarks. If your business is fortunate enough to be a designated gym or Pokéstop in the game, you can use Pokémon Go to attract trainers to your business. So how you do find out if your business turns out to be one of these locations? The first step is to install Pokémon Go on your phone, and make an account. After you’re registered, take a walk around your business. Where are PokéStops located, and can people access PokéStops or Gyms from your business? Knowing this information will help you with using the app to attract people to your business, as we outline below. Pokémon Go has a purchasable in-game item called a lure, which draws Pokémon to PokéStops for 30 minutes. You can take advantage of the Lure Module to attract customers during typical slow points of your day. For example, a coffee shop could use the item during mid-afternoons or evenings. Renaming Products: Regardless of the focus of your small business, you can find a way to add a “Poké-twist” to your offerings. You can rename drinks or menu items after specific Pokémon characters or locations to set the spirit for the Pokémon Go trainers who will inevitable arrive. Pre-Events: Throwing down a lure is a great way to attract people to your business before a special event. Book stores can attract people before a reading while coffee shops can pull people in before a live concert or open mic night. Simple Advertising: Trainers who don’t have their apps open at all times may walk right by your store. Placing signs outside advertising that your business doubles as a PokéStop, like this indie clothing store did, is a straightforward yet effective way in attracting people into your store. Not only does this draw in players of Pokémon Go, but shows everyone that you’re a business that likes to have fun with customers. Promotions and Discounts: Embrace the Pokémon trainer lifestyle and serve up discounts or specials exclusively for those within the Pokémon community. If you run a coffee shop or restaurant, for example, you can offer discounts exclusively to people playing Pokémon Go. Offer specials to people who have caught specific Pokémon or who belong to the gym’s controlling faction, like Paul Shapiro showed in a tweet. Social Media: Take your social media promotions to the next level by broadcasting your presence as a gym. Ask trainers to take photos of themselves battling and then share with your location tagged. Create a custom hashtag for your business along with popular tags like #PokémonGo for platforms like Instagram and Twitter. Remember, these marketing strategies for PokéStops and gyms aren’t mutually exclusive. Promotions can be used with dropping a lure to help push business, for example. The trick is experimenting to see what works for your business. 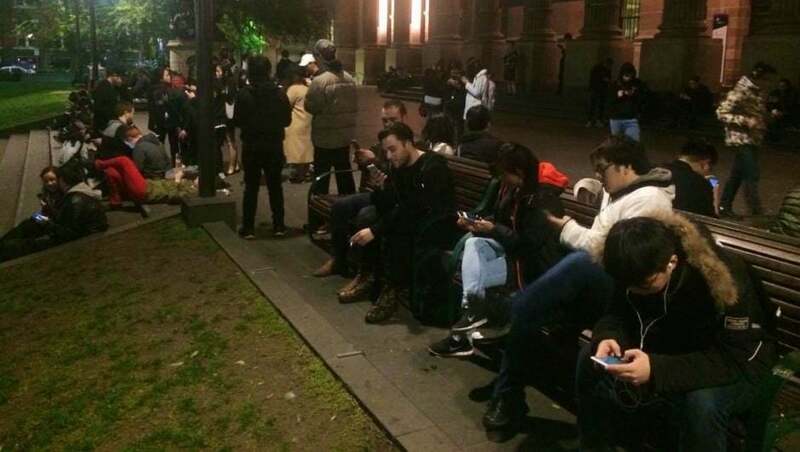 The phenomenon of Pokémon Go is far from media hype. The app has more active daily users than Twitter on Android devices and has been installed on double the phones of Tinder and Snapchat. The reasons are quite obvious: the 20-year old franchise has garnered fans across generations with cartoons, trading cards and video games. In other words, Pokémon Go can be used as a great marketing tool for your local business. If you’re still skeptical about the marketing power of Pokémon Go, check out this subreddit which is full of examples of businesses drawing in trainers. Remember that marketing is all about creating and establishing relationships with your customers. Pokémon Go takes this relationship to a level like we’ve never seen before – why wouldn’t you want to take part in the fun?